Keeping a full time job while trying to be hands on to my son is indeed very challenging. I usually find myself complaining on how I don't have that much time to do other things cause I'm usually swamped with work or motherhood duties. It took years to finally work things out and find time for myself. 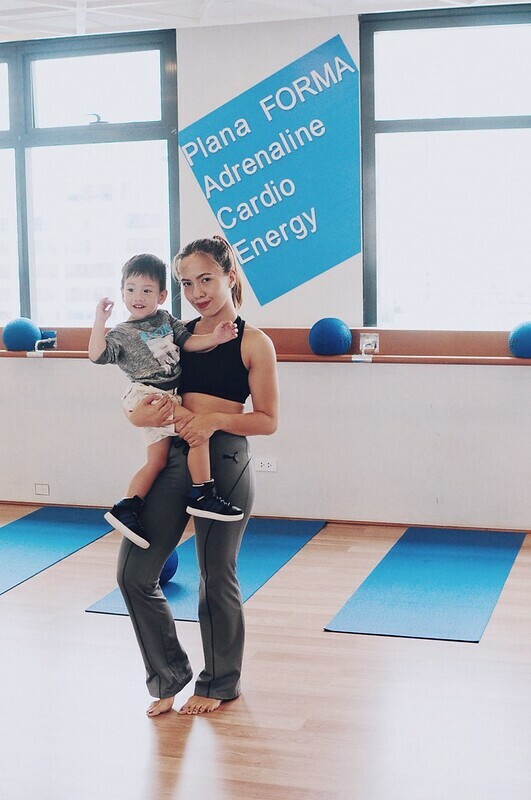 Since I have been meaning to get fit from the time I gave birth to Leon, I really had to do something about my work and sleep schedule so I can squeeze in a little time for fitness. Gladly, I have a supportive husband who manages to be creative with my schedule or even help me multitask. 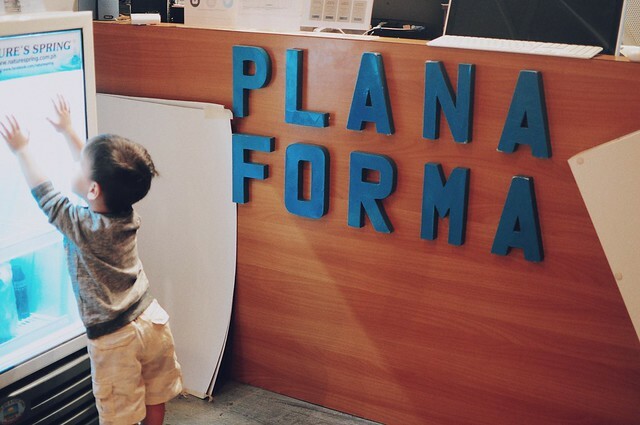 Like what we did last Sunday when I attended Plana Forma's yoga class. 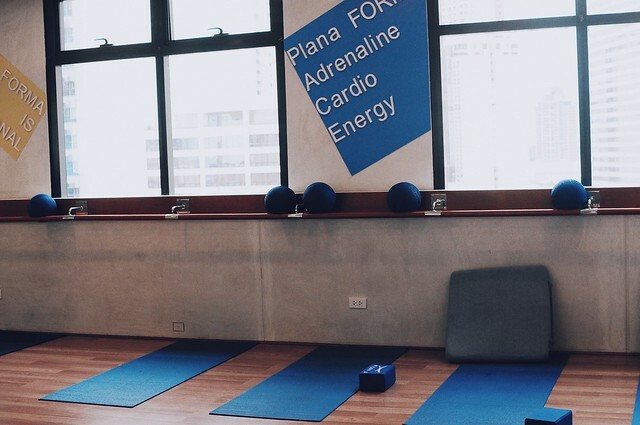 Since my husband had to attend to a lunch out with friends in Makati last Sunday, he agreed to drive me to Planaforma around 11am for my 1hr Yoga Forma Asana class. 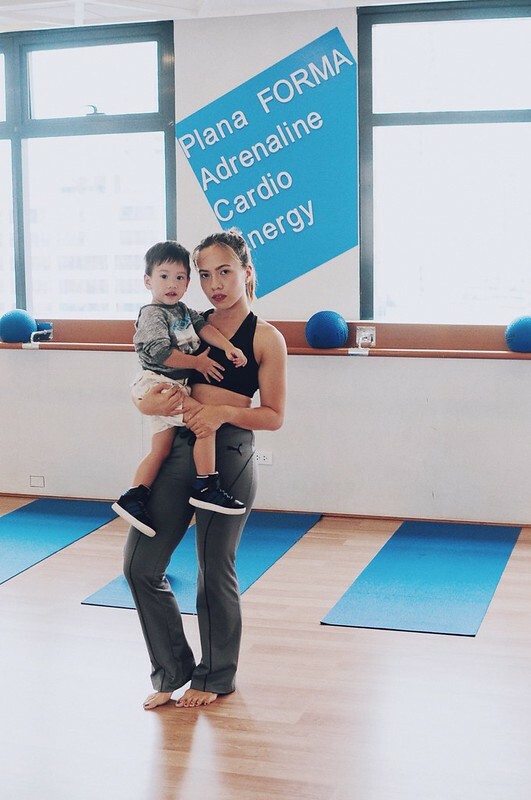 We usually bring our son with us during weekends (weekend is dedicated for family time) and he agreed that he will look after him while I attend the class. I consider myself a fit person cause I (try to) workout 2-3x a week. 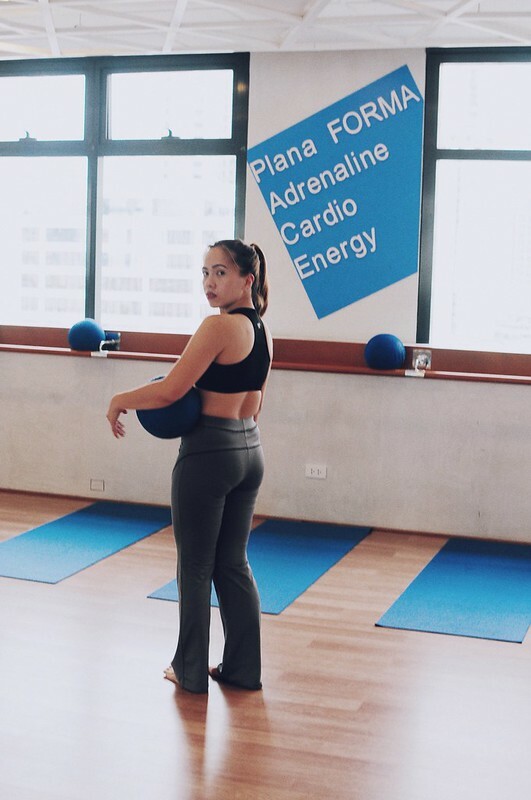 So when I attended Planaforma's yoga class, I thought it will be very easy for me. But I was wrong. 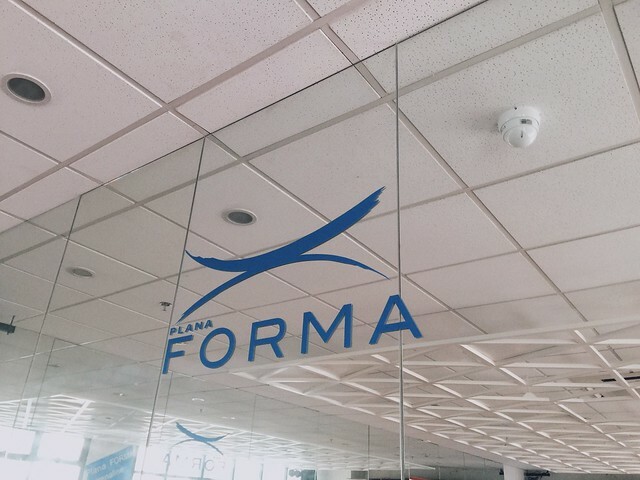 The forma asana class I attended, although considered a class for beginners, was very challenging. I usually do a lot of weight lifting and dancing and doing something that involves correcting my posture or a lot of squats is what I find most difficult. My body, especially my things were trembling in each of the small movements I have to do. I had a difficult tome bending and stretching (cause my limbs are hyper extended), and most of all, I had a hard time squatting. Anyways, the husband and the kid went over the Park near Rada and played for an hour while waiting for me to finish. The moment they went back to the studio, my baby bear immediately went to me and clinged as if he was not able to see me for a long time.